If you've been indulging in too much barbecue, here's a quick smoothie you can use to detox from all that barbecue goodness. 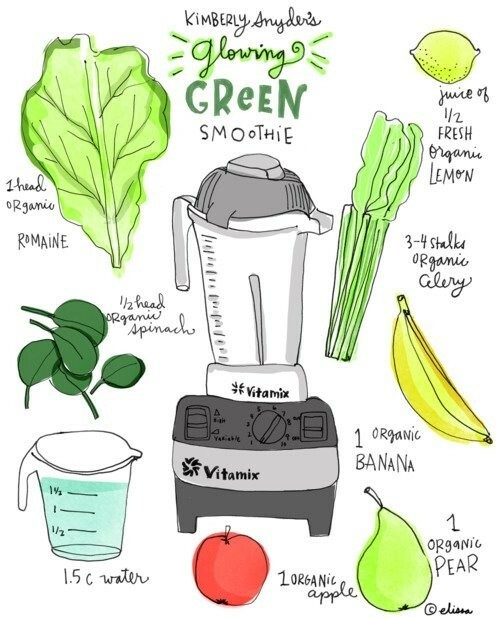 The recipe for your detox smoothie concoction comes courtesy of a fun infograph illustrated by Elissa Duncan. The infograph is based on celebrity nutrionist Kimberly Snyder's glowing green smoothie recipe, which aims to boost your intake of dark leafy greens. In her book The Beauty Detox Solution, Kimberly advocates that filling up on fruits and veggies is the best way to look and feel better. Time to get the blender going!